I can’t believe it. 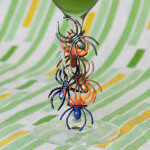 Yesterday marks 3 years since I decided to set up a little crafty website, just for fun. 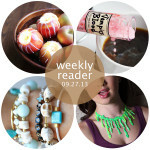 I never thought Hands Occupied would be more than a way to participate in the crafty internet world I loved following. My initial vision was simple: take some phone pics of projects I threw together and write up instructions on how I crafted them. Since the blog’s start in 2010, I have gotten married, learned a little bit about photography, and blogged hundreds of DIYs. 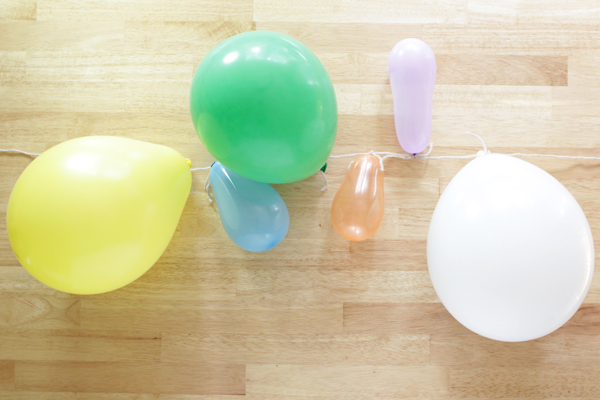 In honor of the big day, I’ve got a super simple (and affordable) DIY balloon garland to share with you all. Thank you, dear wonderful readers, for coming back again and again to check out my whacky and colorful craft project ideas. It means a lot that people appreciate what comes out of my crazy head. 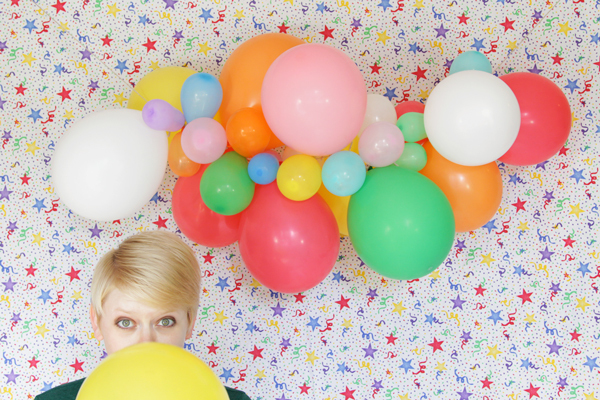 Blow up several balloons and tie them off. Cut a piece of yarn a few feet longer than the length you’d like the finished garland to be. 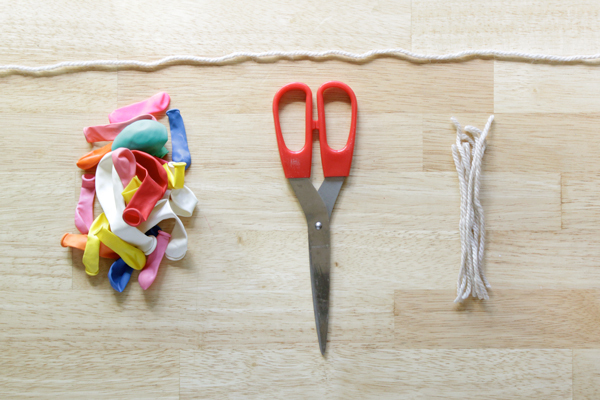 Also cut several pieces of 4 inch-long yarn, one for each balloon. 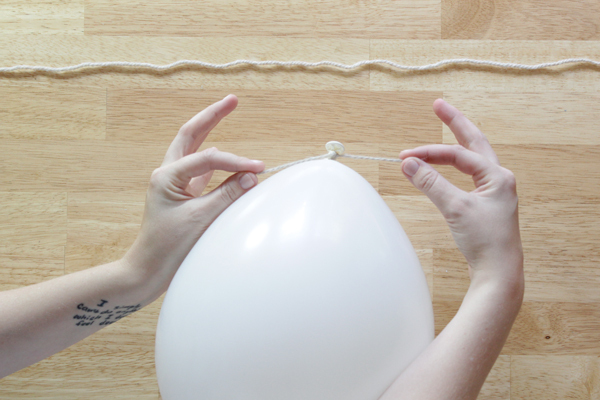 Tie a piece of string to a balloon. 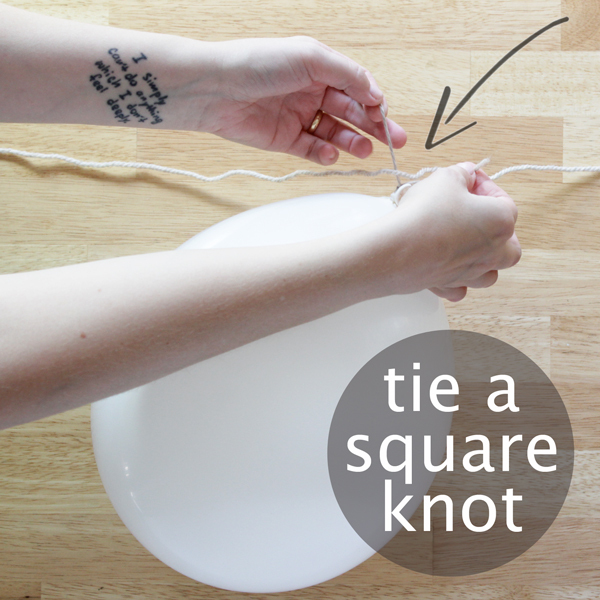 Tie the balloon to the long piece of yarn with a square knot. Tie many more balloons to the long yarn with the same method. 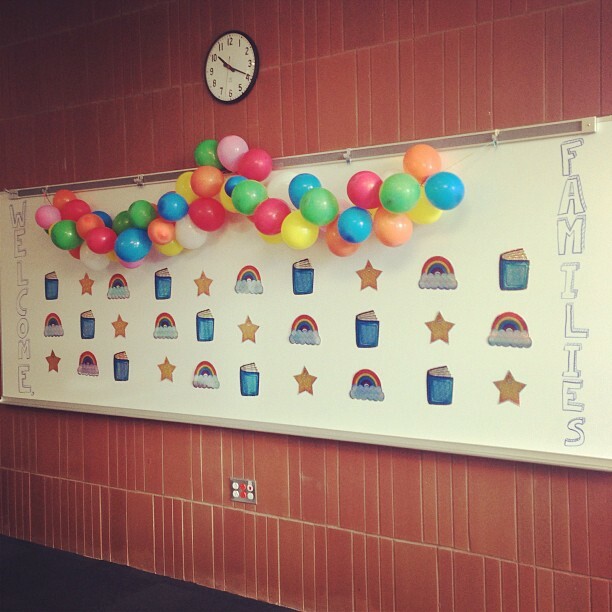 Push all of the balloons together so they cluster. Ta da! That’s it. 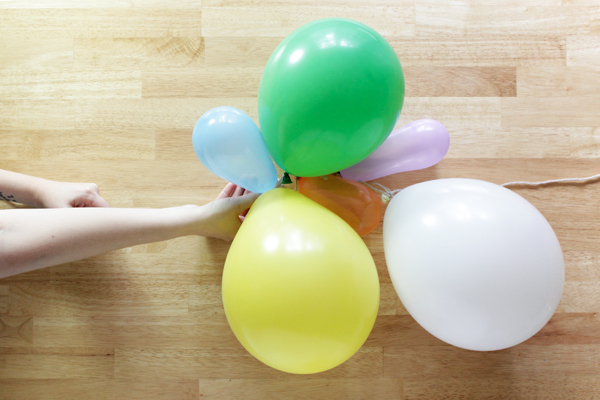 Since yarn is fibrous, it acts kind of like velcro and grips to itself, which is part of why the balloons stay in place. 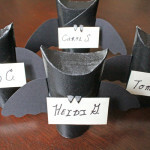 I’m considering doing this for my daughters birthday but don’t know if it’s possible to do the night before? Do the balloons last? Hi Lindsay! 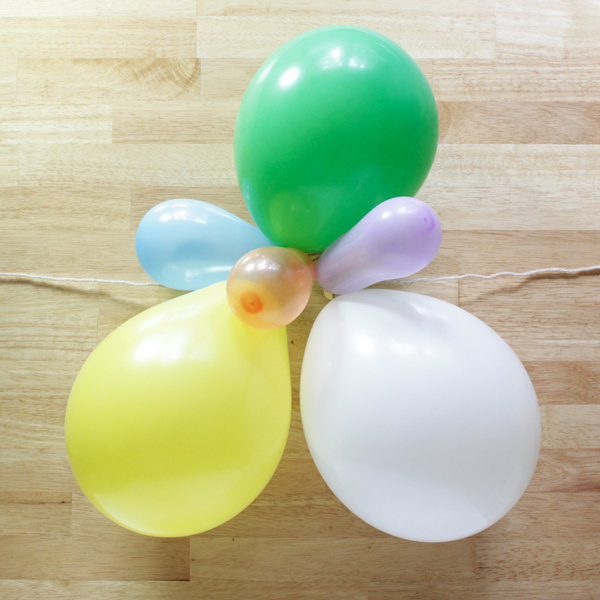 I found this blog post about making balloons last longer – maybe it will help with your daughter’s party: https://ballooncrewsviews.wordpress.com/2014/06/16/15-tips-for-getting-balloons-to-last-longer-in-hot-weather/. Best of luck! Hi where did u get that fun star confetti backdrop? Thanks!